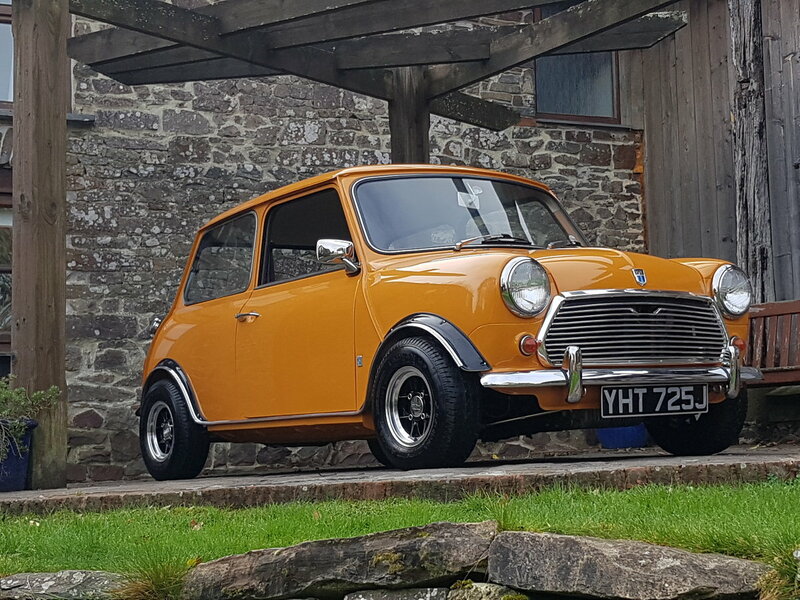 1970 Austin MK 3 Mini in classic Bronze Yellow. 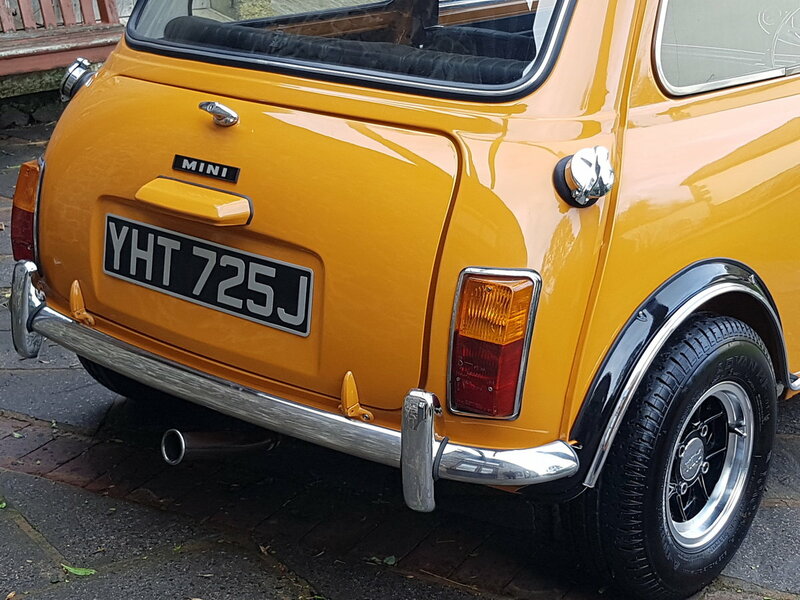 This stunning 49 year old mini has received a full nut and bolt rebuild from 2011 2017 and the end result is very exciting. The original 2 owner car had covered just 29000 miles. The body was stripped to bare metal and fully restored by Slark Classic Restorations using only Heritage panels where necessary. The underside of the car is immaculate as it has only been driven in the dry. The engine was built by Bromsgrove Engine Services and is a balanced 1330 A + engine with a reconditioned gearbox with 3.44 final drive. The remote gear linkage is the period caste alloy type which is nice to see and feels like a Cooper S to use. 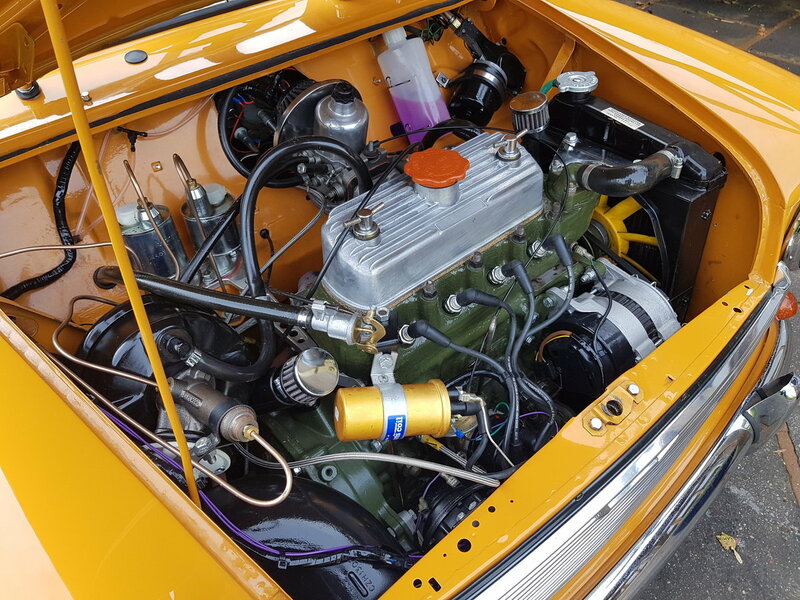 The engine produces 72 BHP and is still being run-in after covering around 600 miles. 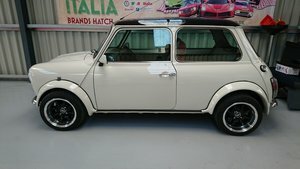 The brakes are 7.5 inch Cooper S with a period servo. 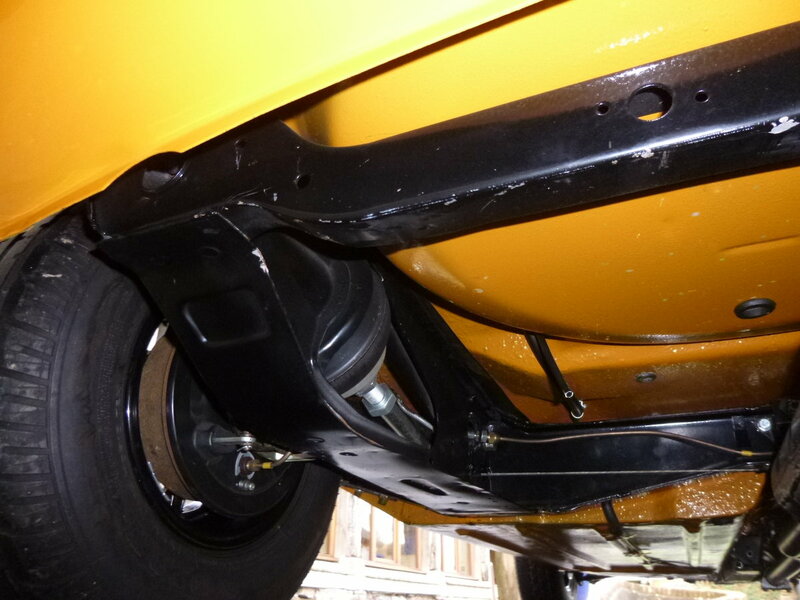 It has new shocks and adjustable Hi Lows all round with adjustable rear camber brackets. The exhaust is a 3 branch LCB with a Maniflow rear box which sounds wonderful. 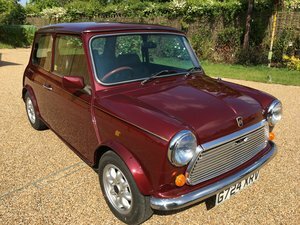 It has twin fuel tanks to give a better driving range and Cooper S look. 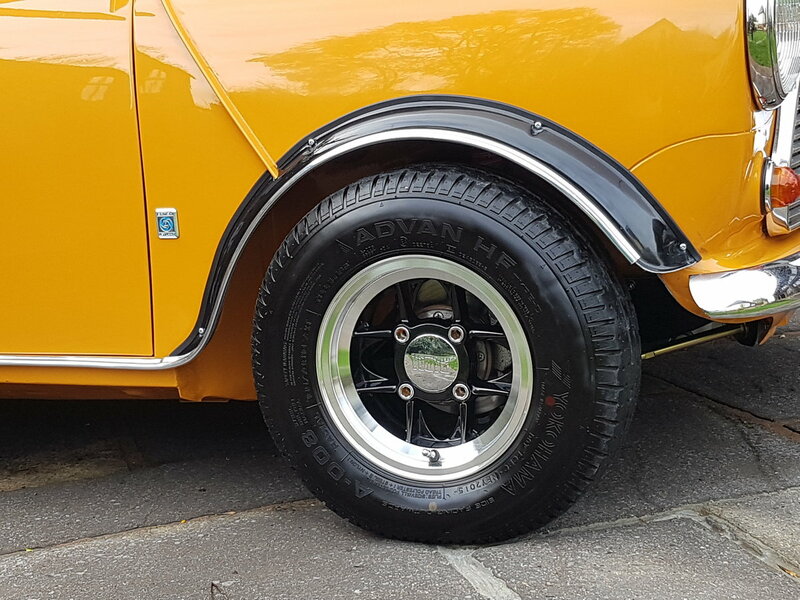 The wheels are alloy Mambas on like new Yokohama A008 tyres. 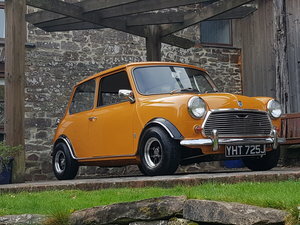 Inside the mini is nice and original other than 2 supportive Cobra seats, Cooper speedo and period rev counter. It has a nice history file of past MOTs and a large file of build receipts. 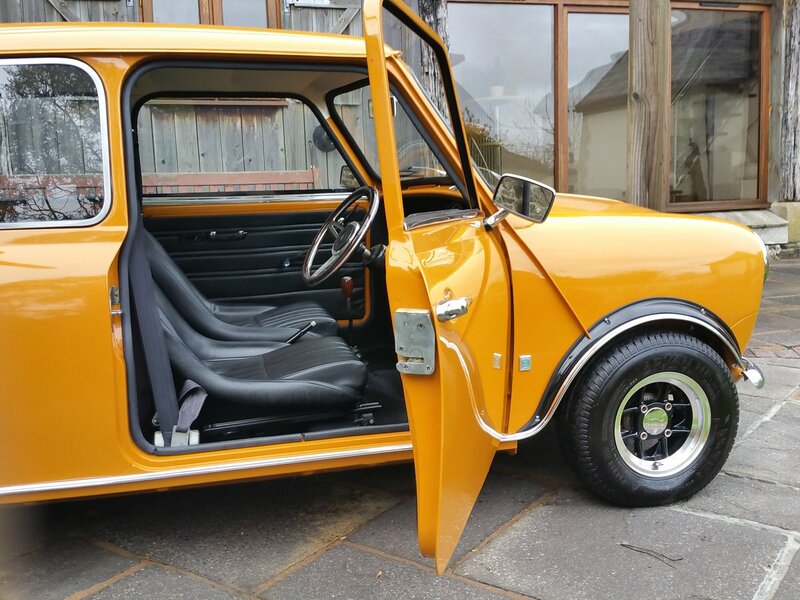 It is great to see 2 sets of keys which operate the ignition, doors and boot on the same key, as when new! The end result is a stunning period fast road car which goes, stops and corners just like it should. The noise and acceleration makes you feel 17 again and makes you really appreciate the fun of driving, which is now so distant with modern cars. 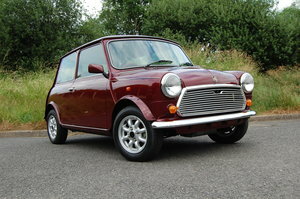 A very special period Mini which will give many years and driving fun and enjoyment. Please see my website for more pictures. Free delivery to your door in my enclosed van within 200 miles of South Molton.